Celine Dion Rocks Bangs In New Picture! The singer attempted a brand new hairstyle and we totally dig it! Celine Dion took to social media to share a photo in which she showed off her fashion as well as a different haircut than what we were used to seeing from her. In addition to her usual long blonde locks, she also rocked bangs! The photo she posted on Instagram seems to be taken in a hotel room, and the 50-year-old can be seen checking herself out in a full-length mirror. She is wearing a printed JW Anderson dress, which she accessorized with a pair of blue Saint Laurent pumps and a green Hermes bag. The pic seems to have been taken ahead of her performance in Tokyo, the very first stop on her Asian tour judging by the caption. ‘Tonight is the night! Tokyo, are you ready?’ she wrote in English as well as in French. However, it seems like she didn’t really commit to her bangs hairstyle as in pics she shared from the Japanese concert the fringe is nowhere to be found! Regardless of her hair choices, however, the woman glowed and stunned like always this time while wearing a colorful mini dress. ‘Thank you, Tokyo for the warm welcome and for being an amazing audience at our first show!’ she captioned her post. 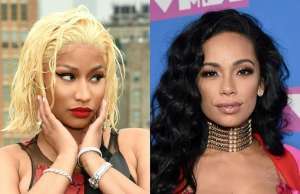 The new pics come more than a month after the singer came back to her Las Vegas residency after undergoing an ear surgery in March. ‘You know, it’s been a while since we have done a show. I had a little health issue — don’t we all. But I have to tell you, I’m extremely happy to be back. The stage is kind of my home away from home, and I have to admit I can barely stand on my feet tonight as I am a little bit nervous,’ she told fans in attendance at her show at the time. KUWK: Khloe Kardashian Gets Backlash For Piercing Baby True's Ears - Check Out The Outraged Comments!